Radioactive sealed source disposal, nuclear gauge removal and disposal, leak-testing service, and source dismantling are radioactive waste disposal services offered by ADCO Services for expired, un-wanted, or damaged radioactive sources, nuclear gauges, Brachy Therapy seeds, tubes, needles, calibration check sources, and scintillation counting standards. The experts at ADCO have over 50 years of experience with radioactive source disposal services where we have offered the successful recovery, removal, transportation, and disposal of over 10,000 radioactive sources varying in sizes from check source discs to sources requiring casks for shipment in The United States. ADCO Services comprehensive disposal services are for not only non-leaking sources, but we are even able to dispose of leaking radioactive sources with special provisions and pre-notification. We will require a current valid leak test certificate at the time of disposal and we can assist you with getting a leak test certificate if needed by utilizing our leak testing service. For radioactive source disposal, ADCO Services has close working relationships with all the manufacturers of radioactive gauges and radioactive devices to help expedite your source disposal needs. We can obtain Special Form Certificates for shipment of your nuclear gauge or device if you are un-able to locate your Special Form Cert or we can assist you with how to get one for yourself from the manufacturer. If you have any questions regarding our radioactive sealed source disposal services or if you would like to discuss your radioactive waste removal needs with an expert, contact us at 877-254-2326 or 708-429-1660 today. 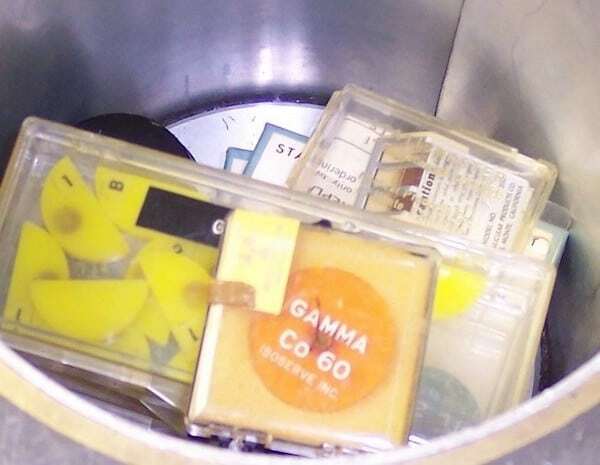 Radioactive Source Disposal Services, Disassembly of Gauges & Devices, Source Consolidation, Sealed Source Leak Testing & Leak Testing Kits are just some of the services offered by ADCO for sealed source disposal. ADCO has specialized in sealed source disposal since 1965 in The United States.